Kingfisher Technologies has been a leader in professional SQL Server database design for small- and medium- sized businesses in eastern Iowa and beyond since we were founded in 2014. In that time, our business has become known for excellent SQL Server database design and maintenance. 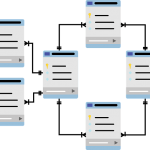 Our SQL Server database designers will work with your in-house experts to help design and organize your database in a way that will maximize your business efficiency. What is SQL and How Can it Help? SQL stands for structured query language. We will help you take all your digital information and organize it into a database that is easy to use and will allow you to access your information instantly. By allowing your employees to make highly- specific searches within a well-designed SQL Server database, you can reduce the amount of time your employees spend searching through your records, which in turn allows them to spend more time doing their jobs. Database design and maintenance: We will help you build the database that works best for you and your company. Each project will be designed with your business’s mission and needs in mind to help make sure your operations run as smoothly as possible. 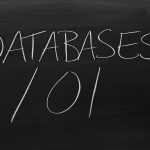 Database deployment: Deploying a new database can be tricky: unexpected glitches and personal learning curves can derail the process for companies who have little experience with a SQL Server database. As experts in professional SQL Server database design, we will walk you through the process and make sure the transition happens as seamlessly as possible. Database lifecycle management: Most companies protect their application code with some sort of source control – it just makes good sense. Your database is an integral part of your company’s operation, but it is often left unprotected. We can help you add that same degree of protection to the code and data in your database, giving you the peace of mind that you need. When we design your database, our goal is to help your business run with greater efficiency and security. If you are have questions about database design and maintenance, or if you are ready to maximize your business’s output, contact the expert SQL Server database designers at Kingfisher Technologies today.